When I was a kid, I planted a sunflower seed, and sang to it every day. It grew 3 metres tall, with 29 flower heads on it. Also, I never catch colds or flu. When I was a baby my nickname was Wibbly Wobbly Wol (which is Owl spelled wrong) because I had very big eyes and was kind of funny looking. I’ve grown out of that one, so if anyone wants to give me a new nickname … now’s their chance! That as a species our cleverness will continue to grow faster than our wisdom - we have the knowledge to destroy the planet in a hundred different ways without the compassion and self-restraint needed to protect it. Ad Hoc. I’m making it up as I go along. 5. Tell us five positive words that describe you as a illustrator. Inventive, funny, expressive, experimental, versatile. This one’s really difficult! Ummmm…..
Maybe Tigger? Because he’s irrepressible and nothing gets him down. We could all do with a little more Tiggerness. 3014, because I’m impatient. I want to see how we write the rest of the human story. Plus I often fantasise about how cool it would be to bring a person forward from the past and watch their reaction to all the changes and new technologies. It would be even cooler to BE that person. I don’t really have a single greatest influence. I’m a bit of a magpie - I try to look at lots of different artists and other inspirational people and borrow useful bits here and there. I started writing poems and stories as soon as I could hold a pen and make letters, and I always illustrated them. I don’t know what made me start. Maybe I can blame my mum and dad for reading so many books aloud to me. Until I was a teenager, my dad used to read to the whole family every night, and we’d draw and make things by the fire while he read. It was magical. “Dictionary”, because it contains all the others. 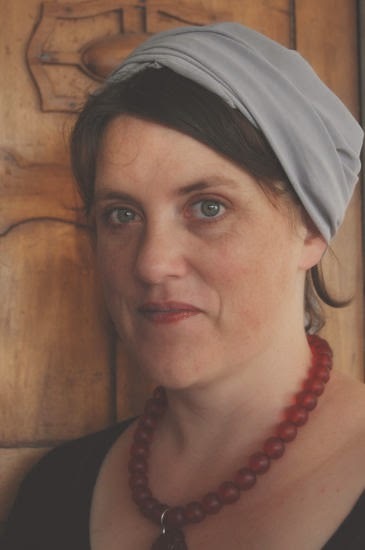 Sarah Davis is an award-winning illustrator of numerous picture books and novels for children, including Fearless by Colin Thompson and Toucan Can! by Juliette MacIver. 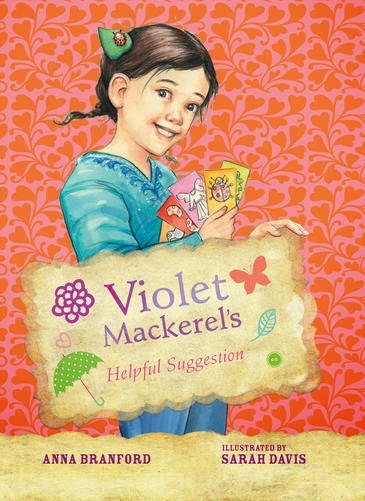 She is also the illustrator for the wonderful Violet Mackerel junior fiction series written by Anna Branford and published by Walker Books. You can find our more about Sarah and her books by visiting her website and Facebook page.